Non-native species, also sometimes called "invasive species" when they are perceived to have negative impacts, are altering ecosystems on a global scale. They are altering communities of native species, habitats, food webs, nutrient cycling, and other ecosystem attributes. Understanding how non-native species affect ecosystems is a key component of efforts to sustain a biodiverse planet. 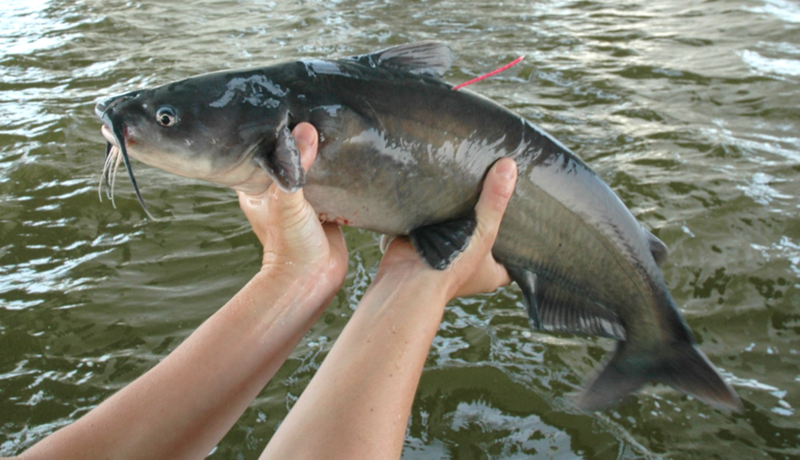 Blue Catfish (Ictalurus furcatus) were introduced into the tributaries of Chesapeake Bay in the 1960's and 1970's. Since their introduction, Blue Catfish have spread to freshwater tidal and brackish portions of many of the major tributaries of the Chesapeake Bay. Our lab is conducting a study that investigates the population distribution and abundance, diet, and movement of Blue Catfish in tributaries of the Chesapeake Bay. Common Carp (Cyprinus carpio) are native to Europe and Asia, but now have a global distribution. They were transported and released throughout much of United States in the mid- to late-1800s. 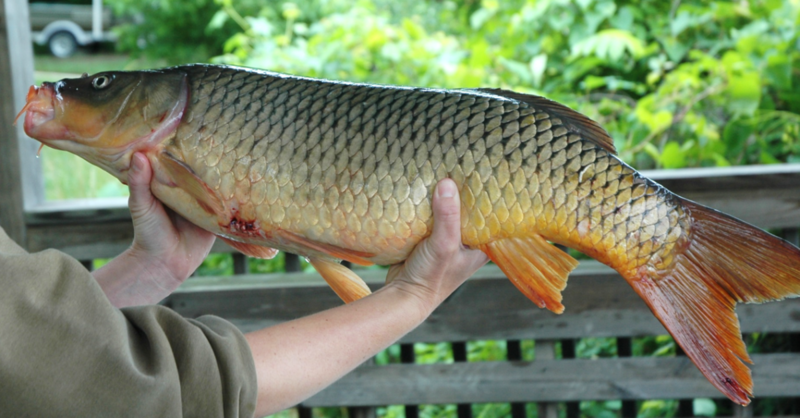 Common Carp can have negative impacts on water quality and submerged aquatic vegetation, affecting habitats used by native populations of fish, ducks and many other species. Despite their relatively long history in the Chesapeake Bay, not much is known about how Common Carp use habitat. We are using acoustic telemetry to learn more about their movements throughout the Bay.